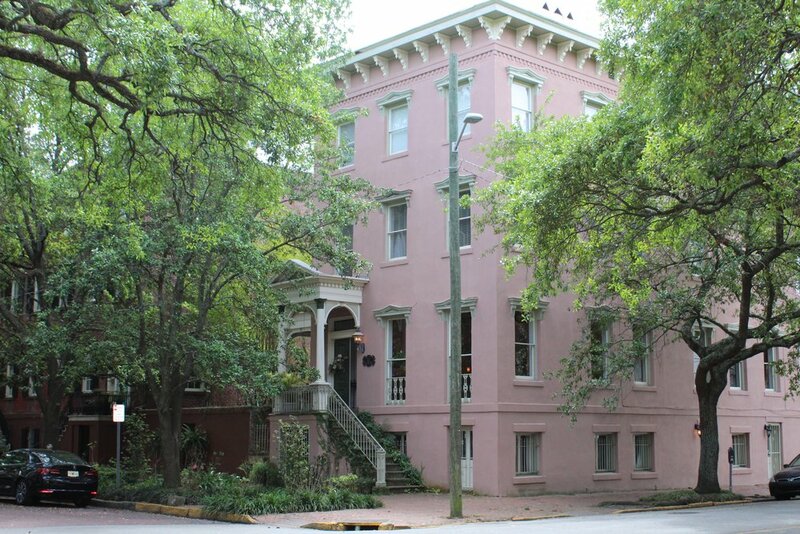 Part of the coziness we felt in Savannah started with our stay at the Catherine Ward House Inn. Our favorite part of the lovely bed and breakfast was the front porch and we took advantage of it by drinking rose and people watching at night. 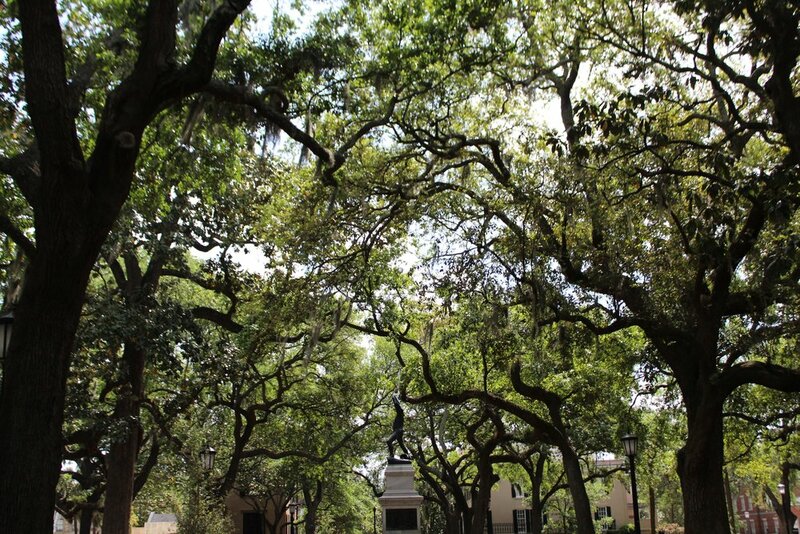 The city's grid layout that includes 22 public park squares made Savannah the perfect walking city. We averaged about 20,000 steps a day moseying from one square to the next until we hit each one. While they were all very similar, each had their own distinct feature- a statue, different flowers, a fountain, a church that overlooked the square, etc. 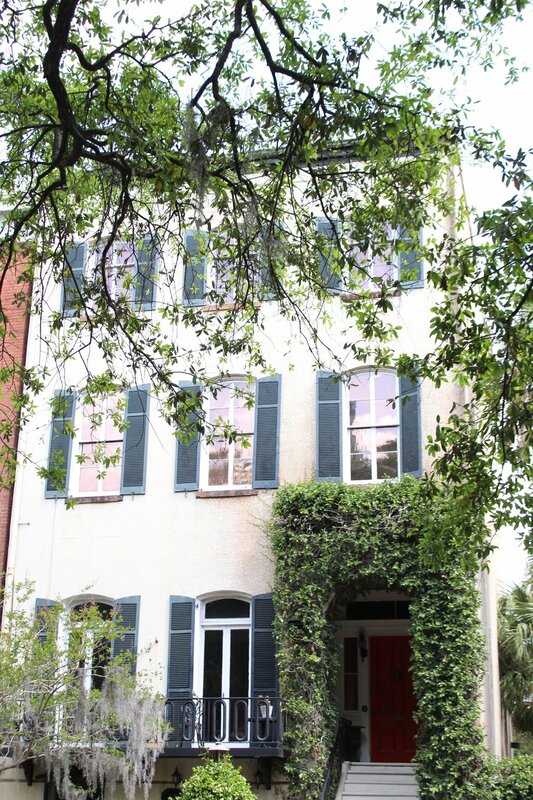 People often compare Savannah to Charleston, and while Charleston will always be our favorite U.S. city, we loved how so many of the picturesque houses looked onto the parks. How lovely would it be to have so many public green spaces within a block or two of your home? Austin and I took advantage of a free walking tour to make the most of our short time in "The Hostess City". As we strolled down every street, we kept seeing homes model the terra cotta and dark green hues throughout the town. We loved the regal, sophisticated, but still warm and inviting look and we made a mental note for a future home. ~The more porches the better for sure. And definitely in need of a soaking pool! 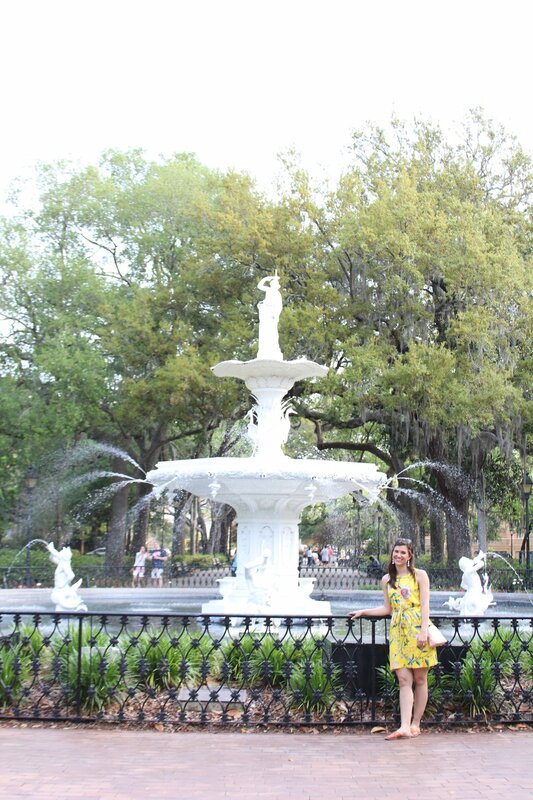 Our B & B was next to the famous Forsyth Park. The park is on the southern side of Savannah so it was the perfect to walk through the park on our way downtown and then back home. The fountain was actually a lot smaller than I expected, but it was really pretty, especially under a backdrop of oak-lined alleyways on either side. ~The park has a real Central Park vibe in the sense that it is the central hub for the community to gather outside. We saw everything from frisbee to birthday parties to concerts to afternoon naps taking place in this diverse meeting place. It's certainly worth an hour or two. We had such a great time celebrating Easter weekend in Savannah. 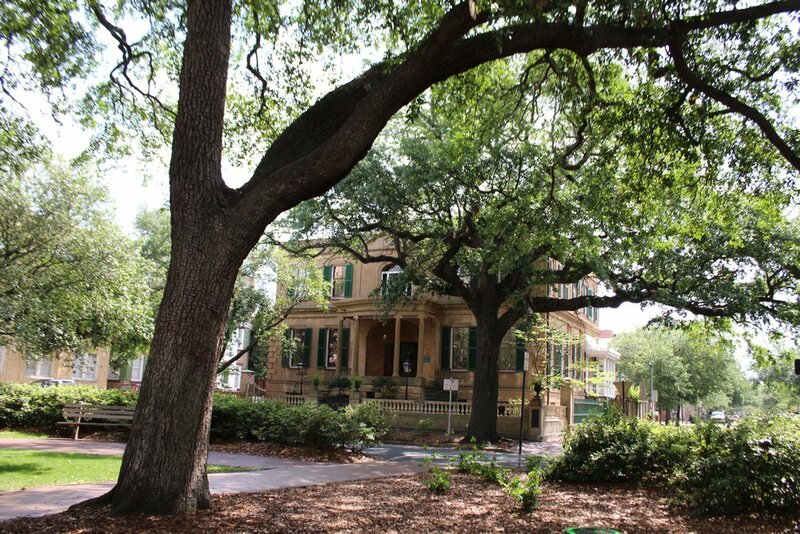 We attended Wesley Monumental United Methodist Church in Calhoun Square on Abercorn St. We snagged a lavender iced latte at Mirabelle Cafe before the service and then had an Easter brunch at the Olde Pink House which was gorgeous and huge. Definitely worth a visit! Check out our weekend itinerary below for a complete list of everything we did during our whirlwind trip. We had the best time and can't wait to return to Savannah! Have any suggestions for our next visit? Leave us a comment below!